With over 4 billion of the world’s population being internet users (unfortunately, even with almost half of the population being online), there are still websites specifically restaurants out there that are badly designed. The idea is insane considering from a study conducted last year by Toast, 57 percent of people order food from a website and this overall, greatly improves your guest experience! A bad website will not only make you look awful online, this impression will also carry onto your business as a whole. Just how you wouldn’t dare eat stale food, stale content is equally as unappetizing. Always make sure that your content is up-to-date. Remember, your website is a robotic staff, part of your team, marketing and assisting potential customers 24 hours a day. If the server has outdated information, this will turn customers away. Your content is structured properly to make it easy to navigate around and consume from a user’s perspective. The user will have taken the effort to visit your site so they expect the only thing left for them to do is to easily find the informatin that they want, potentially converting the visit into a sale. “Less is more.” could never be more accurate when it comes to a website, especially in the initial fold of your landing page. While it’s always admirable when a website tries its best to set itself apart from the competition, it never hurts to remember that sometimes, simple is what most people need. One of the biggest advantages of having your own site is having complete and total control over it. So, there’s no excuse why you would have unrelated ads on your site or even landing page. Also, never ever put autoplay videos and audio, this will instantly take away the feeling of freedom and control from the user, which in turn will immediately drive them away. If you’re going to have videos on your site, simply give them the option to decide whether they want to play it or not. Finally, make sure your content doesn’t overwhelm the user. Pique their interest in short and sweet phrases and don’t make the site all about you. A site that presents the food and information about the restaurant will fare better than a site that places more emphasis on the chef’s bio or how he accidentally rediscovered this recipe back in 1987. This is one of the reasons why you should leave website development to the experts. Having a properly search engine optimized (SEO) website will expand your online reach more by making you appear more frequently and at the top of search engines like Google and Bing. 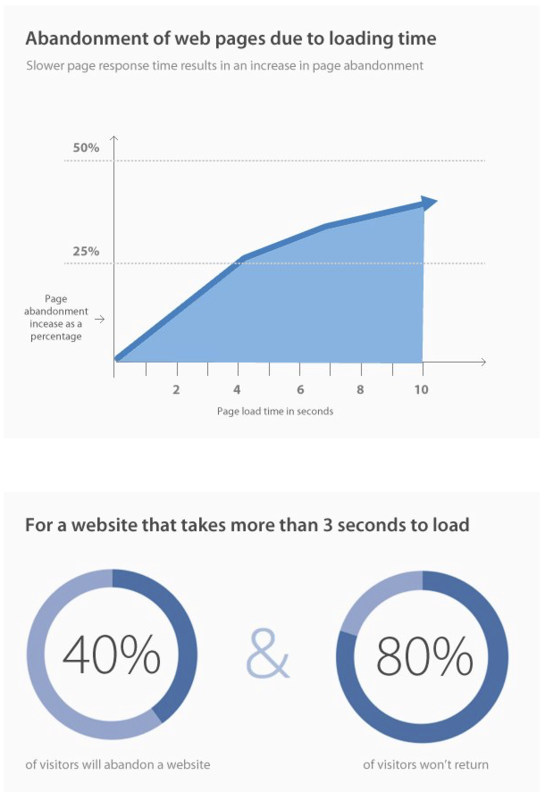 The loading speed of your website also plays a huge role. Just like how a customers expect food in a reasonable amount of time, a visitor on your website will also expect fast results. According to VPN Mentor, 40 percent of people will abandon your website and 80 percent will not return if your website takes more than 3 minutes to load. (Shown in image below). 80% of internet users own a smartphone. This simply means majority of internet users also browse the net using their smartphones and tables. Business owners might think of this as an option but most people, especially web developers would cringe at the thought of not treating this as an essential feature. If you’re just having your website built from scratch, it’s actually easier to make it responsive. If you wish your website's mobile experience could do with a little flavoring, then the cost and time to develop your website into a mobile-friendly one will depend on the code base of your website. Remember though, the costs for this undertaking will easily be outweighed by the sales that your restaurant will get from your website’s mobile users, more so as time goes by. Make sure to show your visitors the best of what you have to offer. When it comes to food, photos are king. Don’t make the mistake of putting up stock or bad photos on your website however. Photography is a world of its own just like food, it’s best to leave this area to another expert. Those delicious shots of your menu items can easily turn into sweet profits for you! Hiring a professional photographer might be costly now, but you’ll be thanking yourself in the future! Also, when a customer comes to your website they will want to know what food items you offer and at what times they are offered. It is simply a turnoff when your menu only comes in downloadable PDFs! Along with that option, make sure that your visitors can see your menu right on your website (in a seperate page for example) to avoid introducing extra delays and process to your users. Even though images and menus are awesome, don’t forget that there’s always text that will accompany those elements. Make sure that the font of your site is readable and carries the feel that your restaurant is going for since text is mostly what users will be looking at. This also goes for the font size and color. Credibility is the most important thing especially when it comes to websites that are selling items. Show off any awards and recognitions your restaurant has gained over the past years. Make sure your users know that your ingredients is fresh and local-sourced. Incorporating this will gain your users’ trust and thus make it easier for them to spend their money on your food. In an effort to cut costs, you might find restaurant owners hire cheap or bad developers or worse, design the website themselves using services that advertise how easy it is to setup your own website in just a few clicks. This can, unfortunately, turn into a more costly option when difficulties arise, losing more money, energy and time in the process. 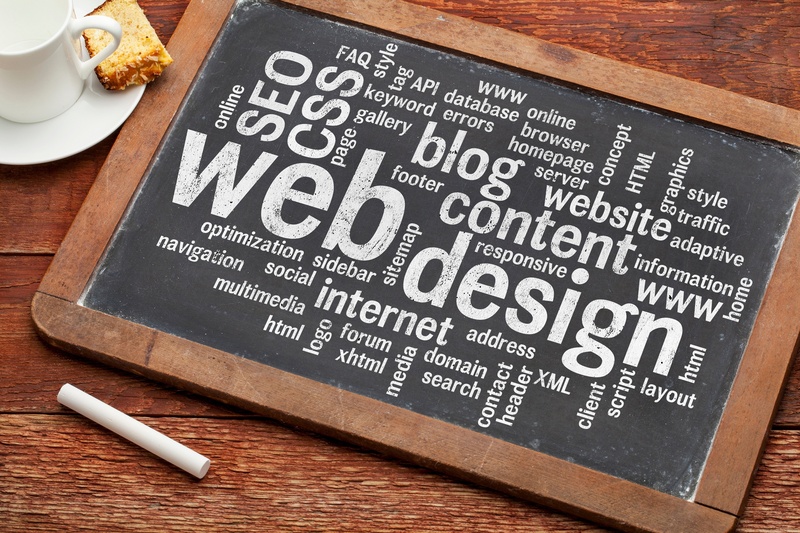 Just like how restaurants are left to the experts in the food industry, developing websites should also be left to the experts in the, well developing websites industry! Of course, this doesn’t mean that you shouldn’t be involved in the creation of your website. Remember, you are the expert in your field, you own the business and you are the one who knows it the most so make sure that you are always kept in the loop. Aesthetic visual design that highlights your food and doesn’t overwhelm the user with ads and other nonsense. Mobile-friendly structure and SEO to help get more users on your site. Quick and easy presentation of content that attracts users and make it easy for them to avail of your services. These points are leading to a simple user experience. If a user comes to your site and gets what they want, then your site has done its job. If a user bounces immediately, then you’ve just lost a potential customer. These reasons will affect your ranking in search engines. Avoid them and you should get a fresher, more delicious-looking website that people and search engines would love to come back to over and over! If there is an area in your business (like marketing!) that you are not very confident or having difficulty doing, always remember that you always have the option to hire experts for help. Caution is advised though: Not everyone who claims to be an expert actually is! Just like a user, a little research can go a long way! Having all these tips in mind should help you avoid following in the footsteps of restaurant websites of old!